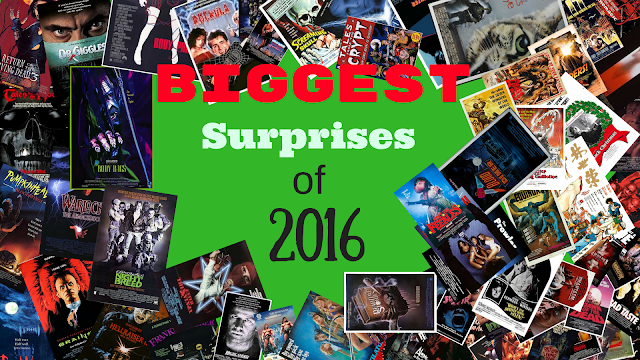 Every year there are a handful of films that surprise us. These are the films that we saw even when the trailer didn't look good. Theses are the films that should have been bad, but for one reason or another are not. I chose five for this list and five for the disappointments list. A lot of times when a film is a hit, a sequel will come along that will do the exact same thing again. London Has Fallen does to a certain degree, but this film is a lot bigger and more believable than the first film (I know that is a shocker). The film is actually well directed, with the action making sense and no hint of any shaky cam. This added to the level of violence makes this film a surprise, especially because everyone was saying how bad it was. This is a film that is better than the one that came before it. I love the Kung Fu Panda series. I think that the films are very mature for the audience that they are aiming for. This is the reason that the third one was a surprise to me. The trailers made the film seem more like a made for tv cartoon than a theatrical animated film. To my surprise the film is smart, funny, and exciting. This is definitely a worthy entry into the Kung Fu Panda series. Even though the film was not a success at the US box office, I hope that they do another one. Yoga Hosers is a bad film. There are no two ways about it. Kevin Smith has taken a really dumb concept and added his "pot thoughts" to it, resulting in a film that is sweet like a John Hughes film, but is also a terrible monster movie. I loved everything about the two leads. They are very funny and we can relate to them. When the girls are at school, work, or home they have great scenes. The problem comes when the plot kicks in. I get the "Bratzis", but the whole thing with the nazi leader hiding in the basement of the store or the two guys who are pining over the girls, only to turn out to be devil worshipers. The film is a mess, but the main characters keep the film afloat. Everyone loves the first Independence Day. Everyone except me. I do like the film, but I do not think that the film is the classic that others make it out to be. There are some classic scenes and one-liners, but the film is way too long for the story that they are telling. Resurgence takes the concept of taking place 20 years later and gives us a world that is more futuristic than our world is now. The action scenes are well handled and the end chase with the queen is very impressive. Sure, the characters are flat as a board and the only reason that some of the cast is back is to be killed, but I had a fun time watching the film. Borat, Bruno, and The Dictator. These are all films that one can go back to time and time again and have a blast watching them. Grimsby (or The Brothers Grimsby in the US, which makes no sense because Grimsby is the town, not the brothers last name.) is a film that no one saw and the ones who saw it hated it. I loved it. This is the type of comedy that Hollywood needs to be making instead of uninspired "comedy" like Office Christmas Party or anything else with Jason Bateman in it. This film is alive and trying to be funny. The other films think that falling down and getting high is funny. Grimsby is filled with all different types of comedy and it works most of the time. It is crude and funny and actually works for the laughs it is bringing. So there you go. Five films that surprised me. The disappointments are coming next so stick around.